Sick of that regret you feel at the end of the year, knowing the year literally just FLEW by and you didn’t accomplish what you wished you did? Trust me, it’s not just you. This is something that many people experience on a regular basis. People create New Year’s resolutions in hopes they can make a change that lasts for the next year. Yet within two months, most people have given up their resolutions entirely. So if you aren’t good with New Year’s resolutions, but you want so badly to create your ‘best year ever’, what types of change do you need to make to have the year you desire? 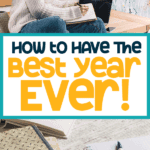 This post will help you figure out exactly what you need to do by start planning your best year ever right now. 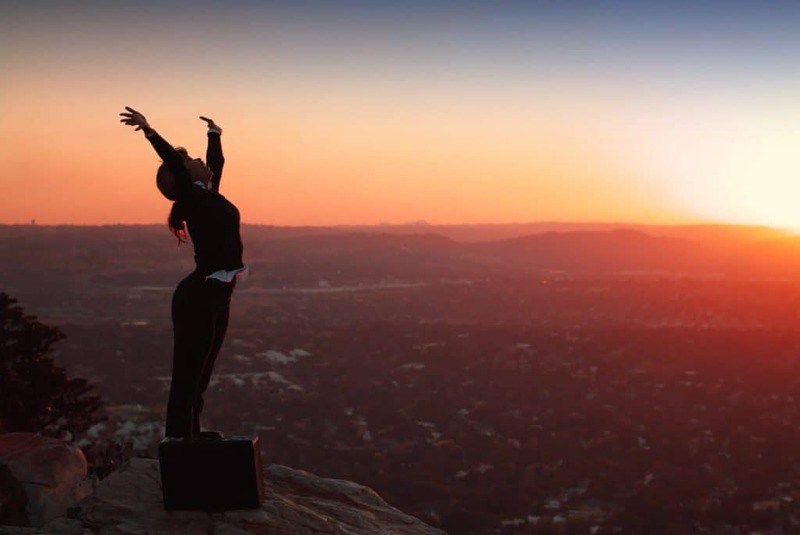 One of the biggest issues people have when it comes to creating their best year ever is not having clear definitions of what you want out of life. Many times people say they want to do something, but it doesn’t align with who THEY are as a person. Sometimes, what people say they want is actually what other people have parroted to them for years. It’s amazing how challenging it is to separate what you want from what other people tell you to do if you haven’t ever really sat down and thought this out before. The other issue people have with trying to figure out what they want out of life is that they are afraid of receiving judgment from other people because their hopes, dreams, and wishes seem ‘out there’. Maybe they have family and friends who aren’t supportive, or attempts in the past to do the things they desired fell flat. The first part of creating your best year ever is to sit down and determine what you want. Sit down for 30 minutes in a comfortable place with a piece of paper and pen. Your goal is to write out all of the things you hope to accomplish in your lifetime. Put on quiet music if you prefer! I love to put calming essential oils in my diffuser when I do this particular task. To make this task easier, separate your paper into four separate zones: personal, professional, family, and financial. For the next 30 minutes, write down all of the goals you’d like to accomplish within each of those four dimensions. It doesn’t matter how big or how small. The only thing to be mindful of is to not write down things you aren’t interested in (no, what your parents want for you doesn’t belong on the list, unless you 100% agree with them!). Additionally, I request that you withhold judgment and fear of your goals and write them down anyway. What’s the point to this exercise? It starts to provide you with a better idea of what you hope to accomplish, and gives you concrete items to work with once you start designing your best year ever! What Are You Unhappy With? The other mistake people make when creating their best year ever is not having the fire to help them remember why they are doing this. I accidentally stumbled upon this realization this year when I was pushing so hard to make changes. For example, I’ve been trying very hard to lose weight for the last few years. But the way I’ve been going about this hasn’t been very helpful. I mean, I don’t love exercise, and I don’t enjoy cooking healthy food (not enough time, not enough energy). However, do you know what I hate even more? Watching the scale go up, and my energy continues to get worse. That literally is the worst thing ever. Are there things in your life that make you miserable? Awesome- write them down! Sit down for 15 minutes and write down the things you don’t like about yourself. Here’s the trick though, I want you to get specific. As specific as possible! I don’t want you writing down meaningless phrases like ‘I am worthless,’ because that is only going to bring you down and won’t provide motivation when you need something to keep the fire in you alive. Write out specifically what you dislike about yourself at this moment and why you dislike it. If you need a little direction, consider breaking these down into the same four dimensions as the first exercise: write down what you dislike for these dimensions: personal, professional, family, and financial. The first two points in this post help you get clear and defined on who you are, what you want, and what you don’t want in your life. The next step in creating your best life ever is to define your objectives. Objectives are less specific and provide a general overview over what you’d like to have in your life. While the aim is that these objectives shouldn’t change during your lifetime, that isn’t a hard and fast rule. You can always change and edit these at your whim, but these objectives serve as a reminder to help you remember why you’re choosing to make these adjustments in your life. For each dimension, write down what you would like to see for yourself during your lifetime. I want to feel good about myself I want my mind to encourage, inspire, and push me to do what is best for me on a regular basis. I want to have the confidence that will help guide me through haters and challenges. 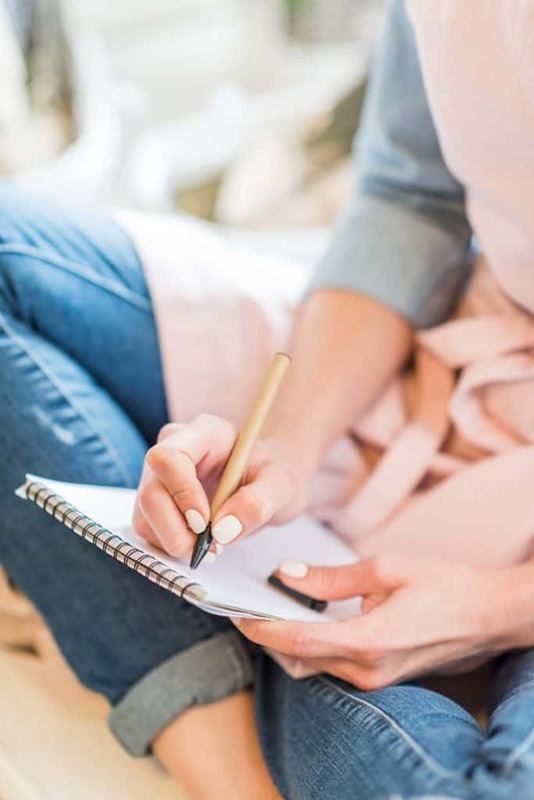 When creating your outline for your best year ever, having these dimensions in mind will help you create a structure that is best aligned with who you are as a person. Make sure to verify the tasks you determine you need to complete each day, week, month, and year align with your objectives. So there is one more step before we can start planning your best life. Remember those goals you wrote down at the beginning? Now is the time to pick out the ones you’d like to achieve in your best year ever. While you should pick goals you know you are capable of accomplishing, don’t be afraid of selecting some that will stretch you a little bit. Some of the best goals you can select for yourself will be the big goals- even if you have to modify them down a little bit. Go through each dimension we discussed in that section: family, financial, professional, and personal. Select 1-2 goals that you would like to start working on for your best year ever. If some of the goals you select for yourself are bigger than it takes for you to complete in one year, start working on breaking down what you can do to start achieving your goal. For example, if you can’t save $25,000 to buy a brand new car in a years time, can you save $5000? Once you work down the goals you select into tasks you can complete in a years time, start working them down as far as you can go. Can you do something every month to continue to your goal? What about every week? What about every day? Let’s go back and look at that car example. If you get paid every other week, you will have 26 paychecks in the next year. That means you need to save approximately $200 from each paycheck. That means from a monthly standpoint, you need to make sure to transfer $200 each paycheck into a special car savings fund 2-3 times. What about a goal you can break down even further? You want to make healthier choices, so you decide you are going to move daily so you can lose weight. You want to lose 10 pounds in your best year ever. This means you need to burn around 96 extra calories every single day. What’s an easy way to incorporate this? Walk! Adding 1-2 miles of walking per day is easy. Walk on your breaks. Walk to work. Take the stairs! Determine where you are going to add this to your daily routine. 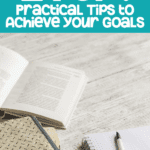 Ultimately you want to break down the goals you picked into the smallest elements possible. We’ll come back to this as we start to design your best life! So now that we have worked through what you want in life, now it’s time to design your best year ever. But designing your year isn’t the first thing you work on. To create your best year ever, it’s critical that you have a feel for what your best month looks like. Before that, your best week. And even before that, your best day. Now, a “best anything” doesn’t mean perfect. You’re going to have challenging days. You’re going to deal with tough situations and unexpected events. Those are completely normal and natural, despite how ‘unfun’ they are. What does the ‘best day ever’ look like to you? Does it mean you accomplish the most important tasks? Does it mean you go for a walk in the morning before everybody gets up? Getting out of your comfort zone? Spending less time on social media? Or maybe spending 30 minutes working toward your ultimate goal? Now we know that every day is likely a little different, but the types of choices you make from day to day are likely similar. So the first thing is mastering your best day ever. For this exercise, spend 10 minutes and write down what you would need to accomplish to have a completely amazing day. Make sure to peek at your yearly goals and add in the steps you need to take each day to reach your daily goals. Then the next day? You do it! You use your goals, what you dislike, and your objectives as a guide to help you make your day successful. But the plan is to try out what your best day looks like and stick to it. At the end of the day, sit down with the exercise you did the night before. Were you able to achieve what you planned out? Do you feel like you had your best day ever? If you didn’t feel like it was your best day ever, that’s ok! That’s why we start with the ‘day’ first! Fixing a day really only takes a day! Write down what didn’t work, and make adjustments accordingly. Once you feel like you mastered your best ‘day’ ever, it’s time to tackle your best week! For the best week, now we get to get a little more specific. Typically a weekly routine won’t deviate as much from week to week (though that isn’t always true!) as it may from day to day. 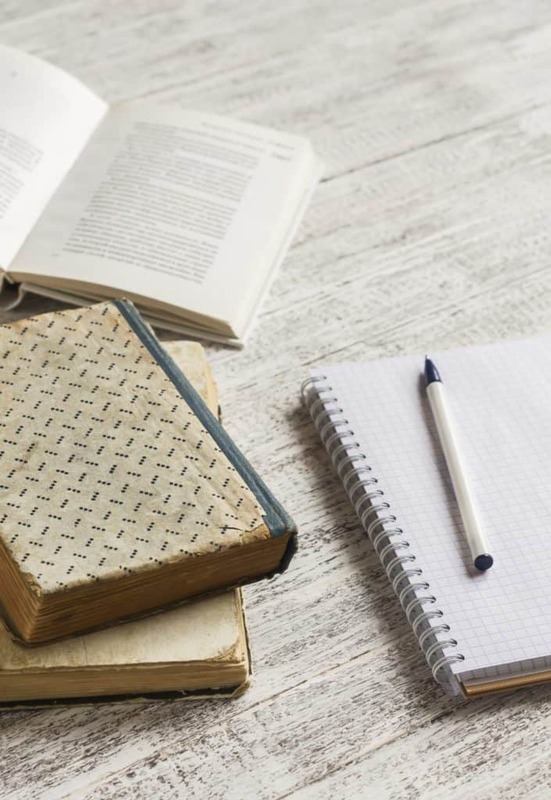 Sitting down and planning out your best week ever is going to be a bit more detailed than your day, as you are planning out the tasks you intend to accomplish through the entire week. You may not complete the same exact tasks every single day, but you will spend time each day working on tasks that help you have your best week ever. -What tasks must be completed on a weekly basis to achieve your goals, and how much time you need to dedicate to complete them? 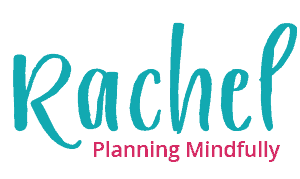 -What tasks hurt your ability to achieve your goals? Can you eliminate or reduce them? -Which specific days will you accomplish your weekly goals? Once you create a plan, start doing it! It may take a few weeks to get the formula just right and get into the routine. You’ll probably find some things you try may not work, but take 5-10 minutes before the start of the week to make adjustments. If you feel like quitting or have a tough day that throws you off, remember to use your objectives, wants, and dislikes to help provide motivation to keep going. Once you’ve mastered your best week, let’s start your best month! Your best month ever is going to be a whole lot different from your best week ever, but now you are going to add your monthly goals into the mix. Part of this will be carving out a little time every week to achieving your monthly goals. Like for the car goal, for each paycheck, you will transfer $200 into your car savings. That means each day you get paid, you will take 5 minutes to log into your bank account and transfer those funds. 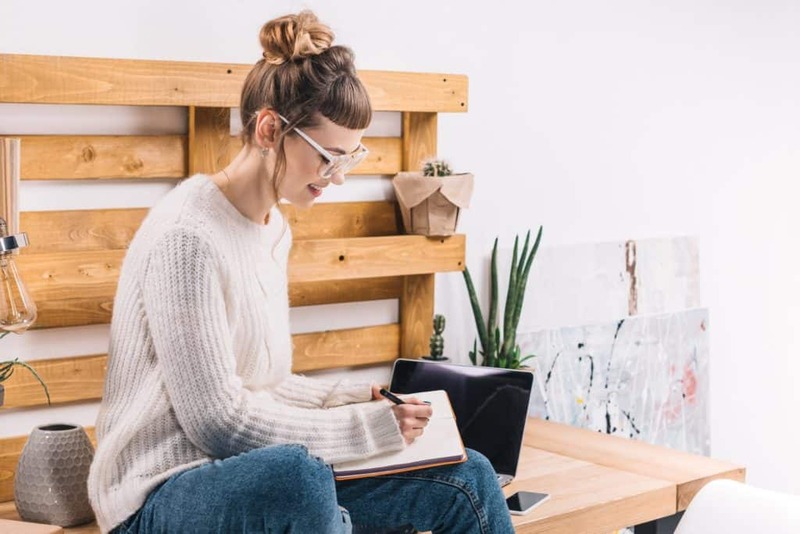 The other thing you’ll do each month is monitoring your progress on your daily and weekly goals, and determine if you need to make any adjustments or modifications for the upcoming month. Typically toward the end of a month, determine where you can spend 20-30 minutes to reflect on your current month and plan the next month. Ready to Have the Best Year Ever? By now, you’ve got a pretty good routine going. You’ve created routine and structure to your day to the extent that you know what works and what doesn’t. Ultimately, you rely on your objectives, wants, and dislikes to make changes and provide motivation. You monitor your goals regularly to make sure that your actions ultimately help you work toward what you want to achieve for yourself. 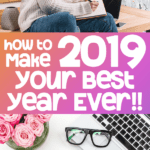 Creating your best year ever is about defining who you are, what you like, what you dislike, what you want for yourself, setting your goals, and creating a positive routine to help you achieve your goals and objective every single day. 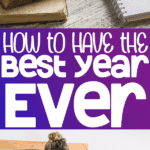 Are you ready to have the best year? I’d love to hear what goals you will achieve through these exercises and techniques! Let me know in the comments. Do you use a bullet journal? This would be an excellent, unique spread to keep in your pocket! Learn how to maintain and break down long-term goals in your bullet journal. 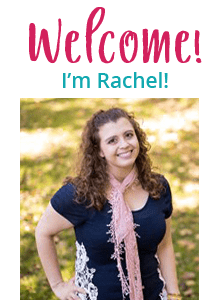 Want to know more about bullet journals? Make sure to click here to learn what they are! Want to start one for yourself? Check out the Ultimate How to Bullet Journal Guide! 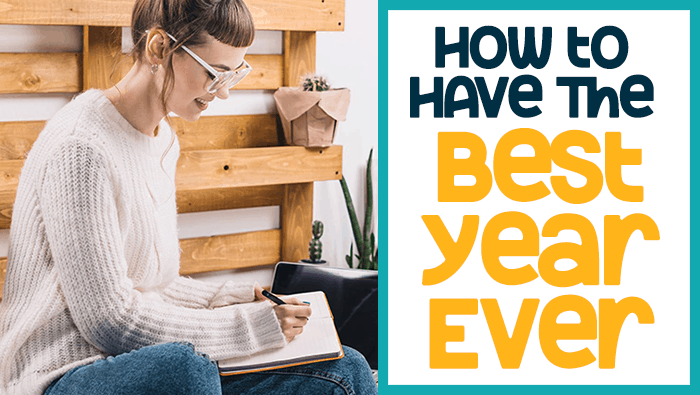 Did this post help you set up your best year ever? Please share it on Pinterest!